Join us for a wonderful concert featuring Alyn Syms. Opening will be Holly Kirchmeyer. Tickets are $20.00 per person general admission. VIP Experience is $30.oo per person and includes VIP seating, a “Best of Compilation” download card and meet and greet with Alyn Syms following the concert. 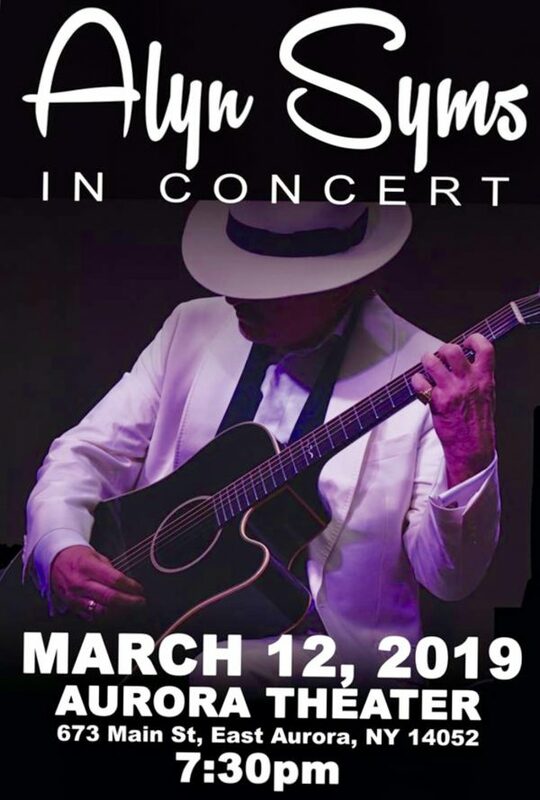 VIP Experience is $30.00 per person and includes VIP seating, a “Best of Compilation” download card and meet and greet with Alyn Syms following the concert.